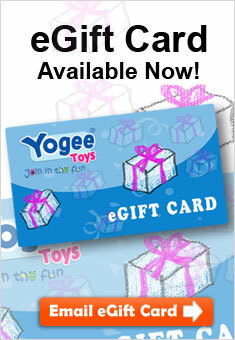 Make your child’s room fun with accessories from Yogee Toys! Animal doorstops, bookends and nightlights are great for jungle-themed rooms. Be ready for any sleepover with junior ready-beds for boys and girls. Chase away monsters with light-up shows of stars, planets, and rainbows that project onto your child’s wall, or light-sabers to keep them safe! Teach your child to clean up after play-time with perfectly-sized toy totes perfect for any room. Watch your little one grow up, and don’t ruin your walls, with a hanging growth chart. Make your kid’s space great!